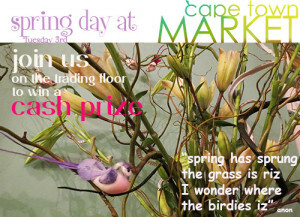 Fresh Thinking, Fresh Produce, Fresh Approach; this has been the mantra of the Cape Town Market for many years. It was this mantra that guided us in our endeavours to offer our producers, buyers and agents the freshest market experience we could. 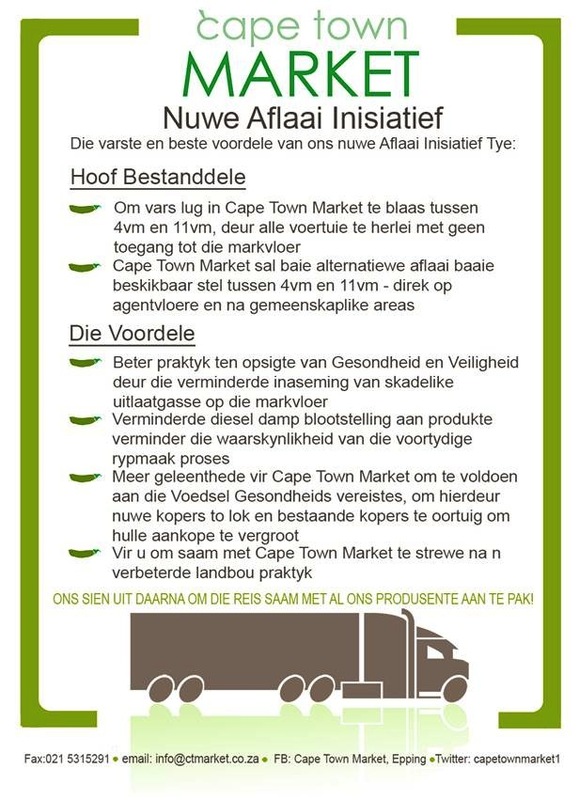 Since we developed this mantra there have been significant improvements at the Cape Town Market some of which have been overt and immediate and others that have been running quietly in the background. In 2013, 9 years after privatisation, the Cape Town Market is known for it’s fresh thinking, it is revered for its fresh approach and envied for its fresh produce. The time has come to become something new, something better, something bigger and the only way to do this is to constantly change, improve and innovate. Producer Care has been taken to another level. One-on-one farm visits, to large, medium and small producers. Our management team, who specialise in the different facilities at the Cape Town Market undertake these visits. By initiating these visits we are able to listen to the producers needs and help to offer solutions. 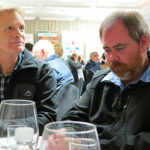 Regular visits place the emphasis on the particular needs to a particular producer and at the same time bringing to their attention all the new changes at the Cape Town Market and exchanging ideas within the industry. The team will also spend time encouraging new producers to market via the Cape Town Market opening up a new sales channel for the producer and a new supply channel for the buyers. 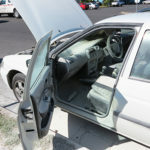 Cleanliness has become a big focal point. 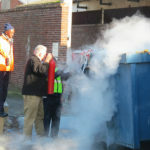 The market is cleaned twice daily and we are pedantic about litter and smoking ensuring that our buyers, agents and visitors don’t smoke on the floor and that litter is cleaned away as soon as possible, leaving the market clean. Loading and Off-loading times have been adjusted to ensure that between 4:00am and 11:00am no trucks, vans or cars are on the trading floor. This change has made a big difference; we have improved safety for our buyers, reduced emission exposure during periods of high activity and ensured a cleaner trading environment. Producers who deliver during these times have also been accommodated via several alternative off-loading areas and the buyers have been provided with their own solutions to load produce. We have initiated a new payment method “Protected Cash” which allows buyers to deposit money into their accounts which allows them to process sales immediate and reduces waiting time to get their produce off the floor and on their shelves. We installed an ATM for their convenience and to ensure that they are able to buy produce as and when they want. At the Cape Town Market we want to listen and learn from our partners, the producers, the agents, the buyers and staff, all of whom have a voice which we would like to hear. We are committed to being the best and will continue to change, improve and innovate. 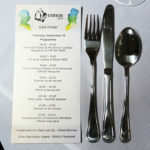 The 19th of September at the Cape Royale Hotel in Greenpoint, Cape Town saw the finest turnout for an IMASA AGM. Since its inception 68yrs ago and this year was particularly special with the change in precedent giving rise to Project Rebirth. 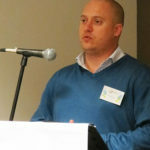 Grant Norman was elected as President of IMASA at the AGM which was attended by at least 40 to 50 people including Chairpersons or representative from all South African National Markets and Market Agents. The Theme for IMASA AGM was “Quo Vadis”-Where are we going? 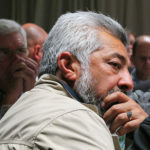 This featured predominant through panel discussions attended by 60 to 70 people. The discussions revolved around the relevant and present issues, the progress of Project Rebirth, unity amongst members, adoption of social media initiatives and the future for the industry. 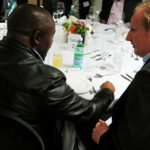 With the Business part of the conference coming to a close a splendid gala dinner event was hosted by IMASA and attended by the Who’s Who in the fresh produce industry, including Mr Billy Morokolo (Dept of Agriculture, Fisheries and Forests), Mr Tommie van Zyl (ZZ2), Mr Jan van Zyl (Chairman of SAKO) and Lizel Pretorius (Registrar of Apac) to name a few. The highlight of the evening was the Keynote speech given by the Cape Town Market’s CEO Mr Rob Lowe who welcomed all 100 guests. Mr Lowe spoke about the Project Rebirth initiative and the IMASA engagement with government, municipalities and other stakeholders resulting in rising of the profiles of fresh produce markets. 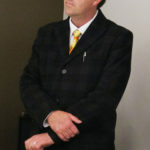 He thanked the Chairman, Mr Grant Norman for his leadership in the execution of this initiative. 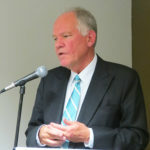 Mr Lowe, spoke extensively on the state of fresh produce markets leading up to 2013 and where the future of these markets be going in the future. Mr Lowe discussed Ownership and the three models currently coexisting in the 23 fresh produce markets throughout South Africa. He spoke about transformation over the last 20yrs of democracy in South Africa and how this has reflected in the Markets of today. He spoke of “Efficiency and Productivity”, highlighting the interaction he has personally had with producers, discussing their concerns and the possible changes that could be implemented. 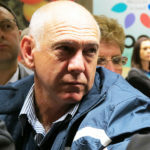 Mr Lowe launched the idea that a SAQA registered Fresh Produce College should be established specifically designed to deal with the training of Market Agents and Salesman. Mr. Lowe also stressed the importance of the renewal of the Farmer/Market Agent relationship and the art of communication. 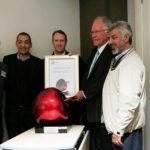 The FIRST EVER Shiny Red Apple Award went to the Cape Town Market. 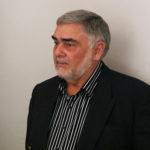 Harry Norman – Honorary membership in recognition of his loyal service to the industry. 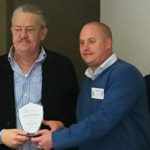 Herman Bonthuys – Honorary membership in recognition of his loyal service to the industry. Attie Horn – Honorary membership in recognition of his loyal service to the industry. 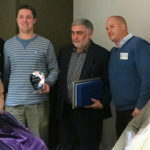 Chris Nance – Honorary membership in recognition of his loyal service to the industry. Although the weather did not seem to be very springy, our buyers and Market staff were! 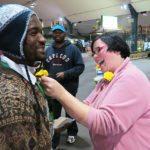 There was a competition to guess the weight of produce on a large weighted scale, a cash prize and a flower for the lapel to add a jaunty spring to the step for the morning. Up to 200 people entered the competition with estimates ranging from 72kg to 697kg. 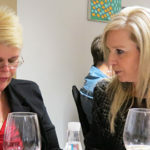 Decisions were a serious matter, peering over and under, consultations with fellow buyers and then final numbers settled upon….many changed as the morning progressed. Result ……drum roll….108.30kg and the prize money went to David Kaug. A huge thanks goes to Alta de Jager, her team of Cashiers, Petunia Top, Alecia Juries and Des-Lin Beukes, Ricardo from the Assesment Centre all of whom dove into flower power, pinned lapels and took names for the morning cash draw. And so we hope Spring starts….would someone tell the weather please! Nelson Mandela born 18th July 1918, is celebrated world over from Norway, South America and of course, his beloved South Africa. 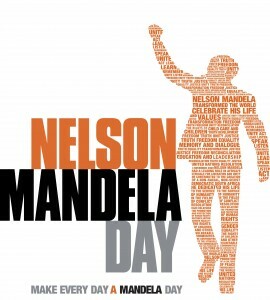 On Madiba’s 90th Birthday in London in 2008, it was decided to ask that everyone give up 67 minutes of their time to “play it forward” These 67 minutes represent the 67 years Mandela gave of his own life fighting for the rights of humanity, it is a call to action for individuals to take a little time to change the world, or someone elses world into a better place. The Cape Town Market, with our deep roots in the community and produce at our fingertips came on board Mandela Day with passion! 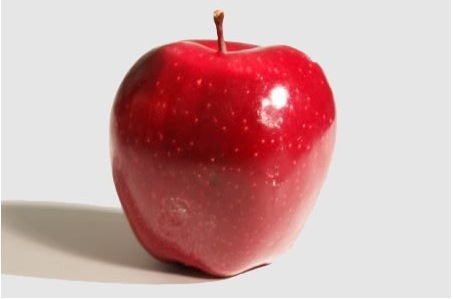 We selected a school, Downeville Primary School in Manenberg, and started to fill our Mandela Day Market Happy Box with some delicious, healthy and yummy fruit…a toffee apple, banana and a mineola orange. There was a box of coloured pencils or paint box with a picture of Madiba, fruit and the agent logos….and to top it all off…A BAR OF CHOCOLATE!! The suitcase style box was sponsored not only by the Cape Town Market but also very generous market agents namely, Boland, Fox & Brink, Western Province, Boeremark and Fine Bros. This made for many helping hands, loads of laughter and speedy box filling. 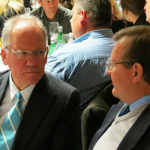 All this mayhem, which resulted in super organised chaos, was situated at the Food Bank, where Radio Good Hope FM were broadcasting live with Nigel Pierce. Dr Anwah Nagia was interviewed by Nigel Pierce and spoke for a number of minutes on the Cape Town Market and market Agents. Of course the ‘Toffee apple on the top’ was presenting the Happy Box to the children the following day at Downeville Primary School. These are children who are living in what is currently one of the worst of Cape Towns gang ridden areas, and yet, what a happy and wonderful school. The Headmaster, Mr Treu and Teachers show so much love and care for their charges, all of whom came rushing forward eagerly to receive the “heavy surprise” boxes. Forced to pose for a photograph, you could see the agony of anticipation to race around the corner and dive into the package. July 15th, in Oudsthoorn, was a very special day in 1925, this was the day Sarah Matthews was born, the middle child with a younger brother and older sister. Mrs Matthews, has been a buyer at the Cape Town Market for over 50yrs and can remember the day the market was officially opened by the Mayoress in 1961. 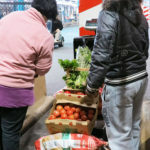 She has been a stalwart buyer every week and since then, arriving early in the morning, doing her purchasing, then transporting her fruit and vegetables to her stand in Pinelands, which has become an institution in most peoples eyes. 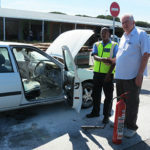 If anyone goes to the licence department in Pinelands, they will without doubt have been past or even bought from Mrs Matthews in the carpark. Yes! That is her business, she has been there as one of the first coloured people selling flowers, fruit and vegetables at that spot – and all because of a recommendation from the Mayor Bloombergs mother! In her 90yrs, Mrs Matthews tells a wonderful story of her life. She went to school at Holy Cross in Parow, taught by nuns and had a good education, she excelled at most of what she sent her mind to, but her athletics, in particular long and high jump were her forte. Mrs Matthews has fond memories of teaching tap dancing at St Marks, and on Saturdays at 5 o’clock she used to tap dance at Vaudeville in Athlone, also doing gymnastics with their own troop. In recent years, Mrs Matthews has spent a lot of time working for her favourite charity, collecting money for St Lukes Hospice. 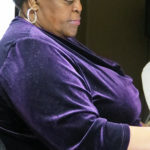 She is an avid choir singer at her church and prides herself that she never goes to bed having done any wrong to others. We at the Cape Town Market could not ask for a more joyful, happy, shining star to visit us in the morning, and wish her many many more wonderful years. 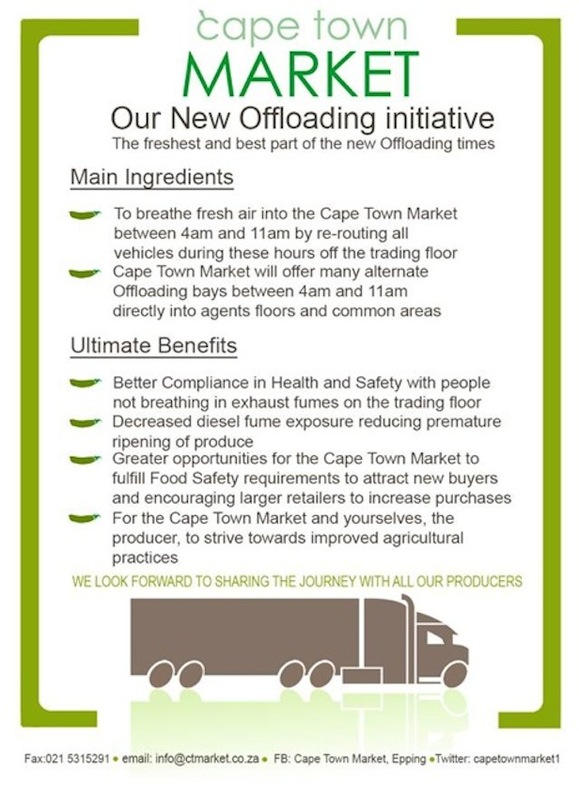 The Cape Town Market is introducing an exciting new Offloading initiative to make our trading hall safer and cleaner for all our market partners. This will enhance produce shelf life, limit diesel fume inhalation and most importantly encourage and excite our partners in keeping up with food safety requirements. 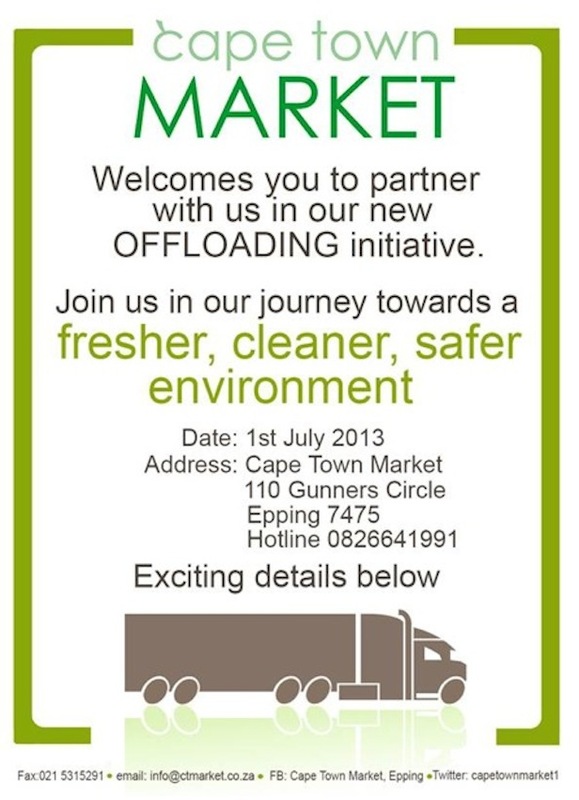 The Cape Town Market is looking forward to a fresher future as of the 1st of July. We have included all the information below in picture format below as well as emailing, faxing, facebooking and tweeting all involved. Please feel free to use the Hotline number provided if you have any hot green questions. The Limpopo Economic Development Agency (L.E.D.A) recently requested assistance from Cape Town Market concerning the development of a Fresh Produce Market at Musina in Limpopo Province. A delegation from L.E.D.A visited the Cape Town Market on 13th May after which Cape Town Market was asked to help organize a workshop on the topic. The workshop was held in Musina on Tuesday 26th May 2013. Most stakeholders were represented at the workshop including ZZ2, Fruit and Veg City, RSA. Fine Brothers and Fox & Brink. All those attending the workshop spoke and provided valuable insights into the merits of a fresh produce market at the gateway to Africa. 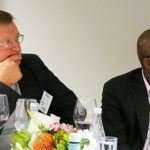 Rob Lowe, CEO of Cape Town Market, supported by Peter Matthews and Billy James, spoke on the topic “Ingredients of a Successful Fresh Produce Market”. 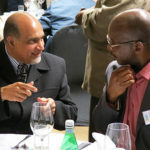 The workshop was a great success with all those attending feeling positive about the merits of the proposed new market in particular how such a market will offer a gateway into Africa because of its close proximity to Beit Bridge Border crossing and how it has the potential to increase South Africa’s fresh produce exports. L.E.D.A has established a road map to take the project forward and Cape Town Market will continue to provide support and advice as required. 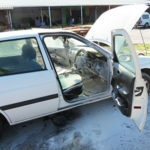 Amongst the dignitaries who attended was the executive mayor of the Vhembe district and the mayor of Musina as well as several local entrepreneurs. 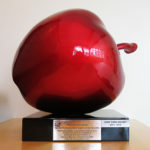 The Cape Town Market has been awarded the “Shiny Red Apple Award” by the Institute of Market Agents of South Africa (IMASA) for outstanding commitment to customer service after launching its hotline where producers and interested stakeholders are able to contact and engage with senior market management. 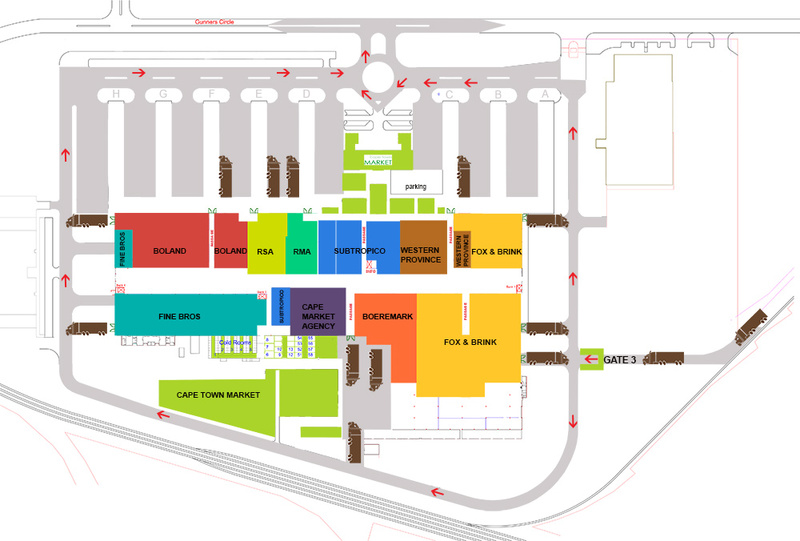 08:00 – 16:00 by Senior Management of Cape Town Market. The Cape Town Market would like to thank IMASA for this award and for recognising the ongoing commitment to our producers to offer the best customer service and to be open to contact and communication with our producers. The 7th, 9th and 10th of May saw Cape Town Market, together with Potato South Africa paying the various potato farmers their accolades. 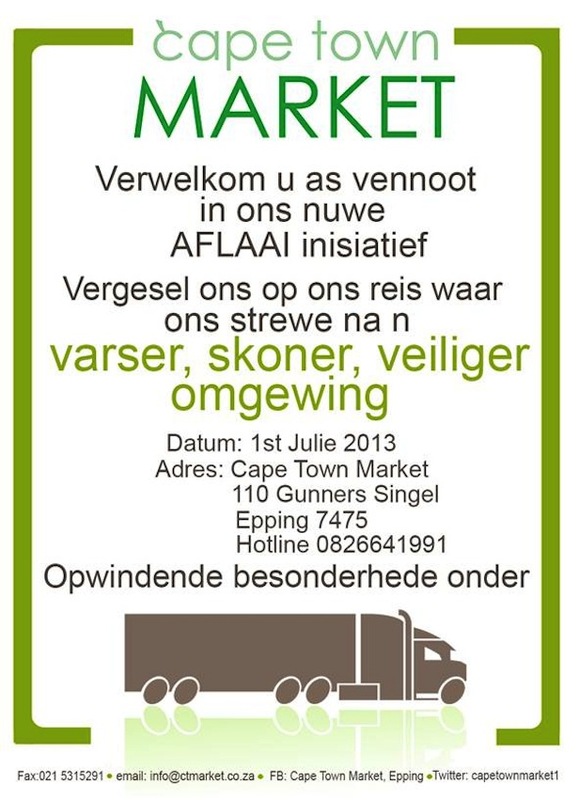 PSA is currently promoting Potatoes in the Western Cape with the focus on hawkers and smaller buyers. Rising early to join us on the trading floor, PSA representatives engaged with buyers, handing out information pamphlets and filling out competition forms. The Prize is for a hawker in the Cape Town region to win a gazebo, table and cloth, making up a mobile store, of course we are all rooting for this to be a Cape Town Market buyer! Prokon, the regulatory body for product control at the Cape Town Market, upgraded their working trolley visiting every agents floor and armed with samples and illustrations educated the buyer on sizing, quality and grading. The REAL winners for these 3 mornings were the Cape Town Market Agents who participated with enthusiasm and wonderful ideas for the multifunctional potato!…We were treated to generously delicious potato samoosa’s filled with spicy potato and chicken from Deon at FINE BROS(that was a twice a morning visit!). 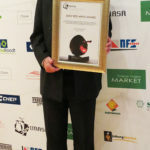 FOX & BRINK, BOEREMARK and WESTERN PROVINCE spoilt the market by installing Mr Calamari and all his potato side dishes as a hot-spot in the centre of the market drawing buyers like moths to a flame. Sean Wright had a simple but yummy, buttery mash with 4 sausages, many a smiling face walked off with that in their early morning bellies. RMA outdid themselves with incredible potato menu which changed every day, queues of people lined up every morning for enormous jacket potatoes and mushroom sauce then baby potatoes folded in butter and chunky garlic (if you didn’t have any, you certainly knew who did) and then to top off the week a family recipe of potato cake, simply smooth, simply amazing. BOLAND was not to be outdone. Flippie and Niel had a curry served in generous portions to those brave enough to finish….if the top of your head didn’t blow off, it was guaranteed to make you cry! 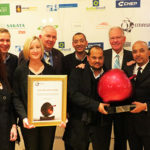 Our Cape Town Market Agents did the POTATO proud.